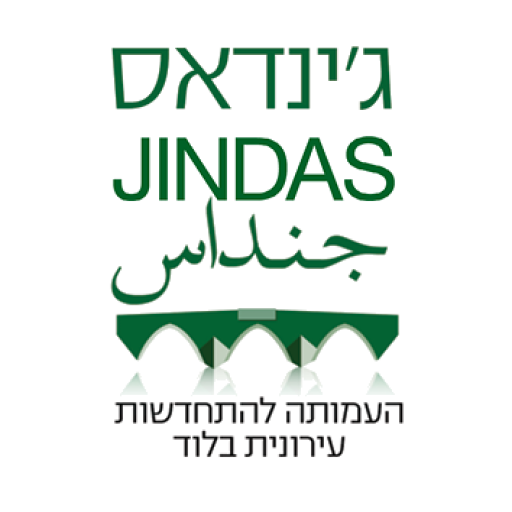 Jindas and various partners host a night market in Lod, utilizing an ancient historical site as part of a restoration and urban development initiative. Lod’s wealth in historical property is often overlooked. It was on this particular Wednesday evening that a historical site (“Khan el-Hilu”), once left crumbling to pieces, was filled with life as people hurried to setup for the night market located in the Old City of Lod. Inside the Khan vendors arranged food stations. Outside, clothing and jewelry vendors put up their tables, and a moon bounce was inflated which had kids jumping with anticipation for the event to officially begin. Khan el-Hilu was built by the Ottomans in the early 19th century and designed to serve as a resting station and market for travelers. The night market is part of a restoration initiative utilizing the building for its original purpose, while providing a platform for improving relations between neighborhood residents. Working with various partners, Jindas officially launched the night market last September as an entrepreneurial opportunity for residents, which strengthens relationships within the local community. The Lod municipality plays a major role both in the market and in moving the city in a positive direction after a prolonged period of instability. The municipality’s hands-on involvement in making the market a success indicates renewed commitment to the city. The city and its residents face many complex challenges. Solutions require collaboration between organizations like Jindas, the municipality, and local residents. The night market has effectively strengthened relations between these stakeholders by fostering cooperation towards the city’s progress. Beyond bridging the gap between various players, healthy relations between community members remains paramount. Lod’s diversity, one of its many unique characteristics, also adds to the complexity of the city’s challenges. Although relations between people of different backgrounds are historically strained, the night market brings all of Lod’s communities together. Like previous night market events, the latest one was a huge success. This time I had the privilege to interview a few vendors and key players who provided interesting perspectives on the market and city at large. I asked Amsal what she thought about the night market, and she said that she loves it because it brings together all of the cultures you can find in the city. She hopes one day a big mall will be built in the city. She offers excellent workshops on how to cook injera and sells her hand-crafted product at the market. Avital Blonder called the event a “great success” because it reflected Lod’s diversity and even drew visitors from outside the city. I asked her what she would like to see in future night market events, and she replied that the market should continue to function as a platform for boosting local vendors’ income and that it should provide a safe space for multicultural expression. Additionally, Avital thinks the night market is a great way to revive the Khan, a process which she believes will inspire residents’ sense of ownership and pride in their neighborhood. Avital stated that the night market’s development and implementation strengthens relationships between different business and non-profit partners in the city, with the municipality taking a lead role. Former Deputy Mayor, Aviv Wasserman, views the night market as a cultural event that is both about having fun while also offering an introduction to the Old City and its mosaic of cultures. He believes the production is off to a good start, but also recognizes ample room for growth, including providing easier access for those with disabilities. He suggests investing in the physical environment (i.e. lighting, asphalt, etc.) to provide guests a greater sense of security. The night market brings together the old with the new, bridging the gap between Lod’s ancient history and contemporary character. It simultaneously symbolizes and actualizes the road toward progress for the city at large. As a city resident for the past several months, I can attest to the city’s lively energy and vibrant heartbeat on night market evenings. It is a great honor and privilege to witness the collective efforts of Jindas, the municipality, neighborhood residents, and so many others successfully working to achieve a better future.